Our factory-trained technicians undertake full diagnostics on Suzuki and Yamaha engines. 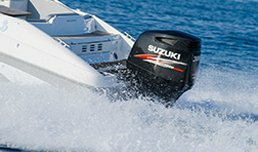 We are an approved repair facility having such suppliers on board as Suzuki, Tohatsu, Garmin and iCOM. At Atlantic Composites, we undertake repairs at our purpose-built site in Derrybeg, County Donegal. We specialise in structural, mechanical, electrical and tube repairs on all marine craft. We undertake structural and cosmetic repairs including fibre glass, gel-coat, electrical, engine diagnostics and tube repair/re-fit. We have an extensive customer base including the Irish Coastguard, Inland Fisheries Ireland, commercial ferries, sub-aqua clubs and numerous companies in the private and marine leisure sectors. We undertake repairs on all types of boat tubing. We supply, fit and repair boat engines for customers throughout Ireland. We are the authorised agents of various boat engine manufacturers and supply their various parts and required oils. Engines from Suzuki and Tohatsu are supplied, repaired and serviced by our qualified mechanics. We offer a guarantee on our servicing and pairs. We repair and service all makes of outboard and inboard engines and have access to most engine diagnostic system. For more details on the repair services we offer, feel free to contact us on 074 95 60011 to find out more about our refurbishment projects. See our before and after gallery below to view two of our most recent refurbishment projects. Atlantic Composites completed a full refurbishment on this boat. It took us 2.5 weeks over 3-week period to complete the job. As you can see it gives boat a new lease of life and restores it to its former glory. 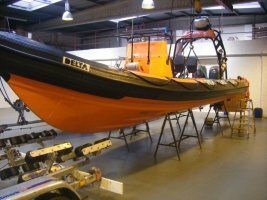 When the boat arrived it wasn’t sea-worthy but on completion of our works, the value of the RIB has increased significantly. The most popular puzzle on the World is undoubtedly the Rubik’s Cube. Learn how to solve it with the beginner method.